Some societies and some individuals find a place for their dead, others leave them behind. In recent years, researchers, professionals and bereaved people themselves have struggle with this. Should the bond with the dead be continued or broken? what is clear is that the grieving individual is not left in a social vacuum but has to struggle with expectations from self, famiSome societies and some individuals find a place for their dead, others leave them behind. In recent years, researchers, professionals and bereaved people themselves have struggle with this. Should the bond with the dead be continued or broken? what is clear is that the grieving individual is not left in a social vacuum but has to struggle with expectations from self, family, friends, professionals and academic theorists. 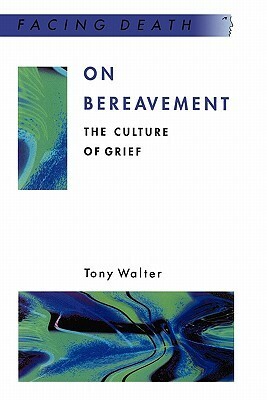 Even given its age (2000)this is simply the most oustanding academic introduction to cultral aspects of bereavement and loss available.